New York, February 1917. 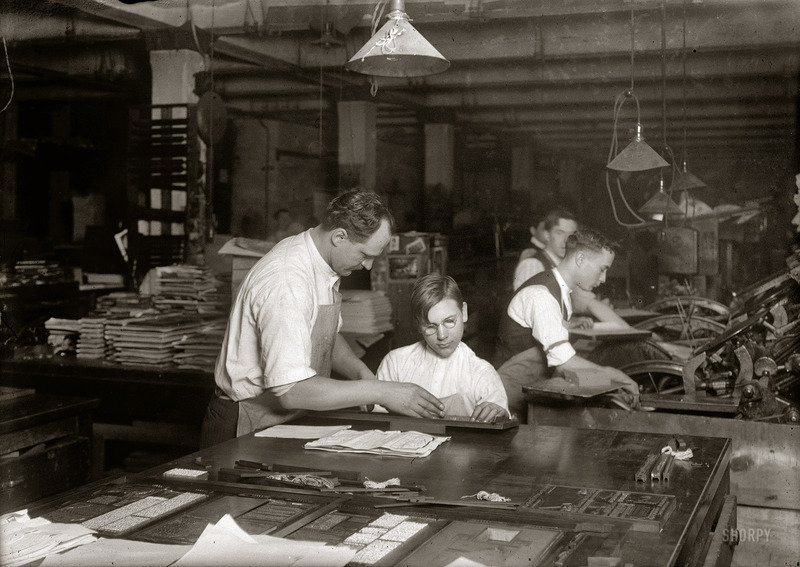 "Horace Lindfors, 14 year-old printer's helper, sizing up leads for the Riverside Press, First Avenue." 5x7 inch glass negative with photo and caption by Lewis Wickes Hine. Another nice find from the Shorpy photo archives.